The automotive seat has continued to evolve from its original purpose of simply being a place to sit to a complex technological masterpiece that can provide safety, luxury, and smart technologies. While auto manufacturers and Tier 1 companies look to create a lighter cost-effective design while maintaining safety and decreasing cost, they have struggled to identify the right partners to work with. Leverage an intimate atmosphere to discuss your value proposition through 1-on-1 demonstrations. 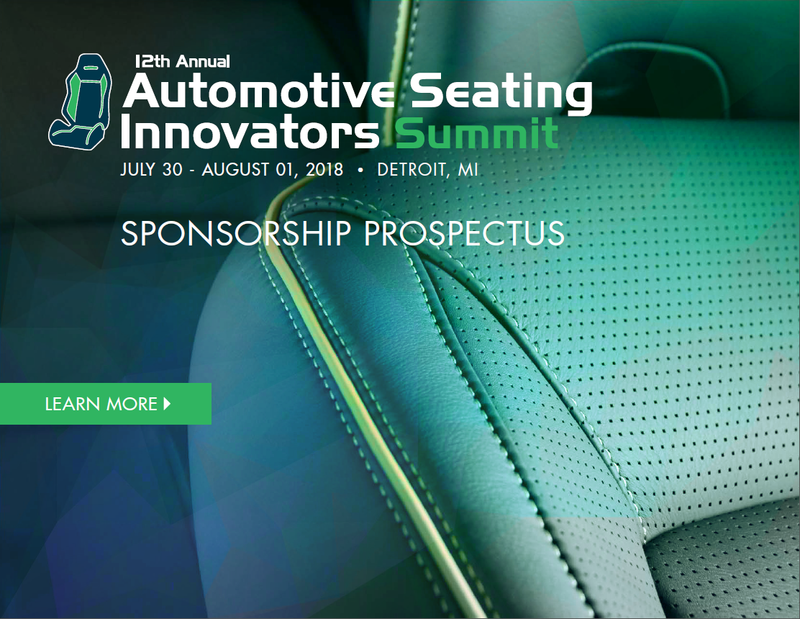 This event will be rich with key decision makers from OEMs and Tier 1 companies looking to make investments in automotive seating. Most of our Sponsorship and Exhibition Packages are exclusive to one Sponsor, so please contact us today in order to ensure we reserve you a spot for this year's event!